Compare the photo above to the ones on my "Dome Pulling" report. At 1823 MST, about 5 minutes before sunset, I viewed Venus with the 8" at 77X, low in the western sky. 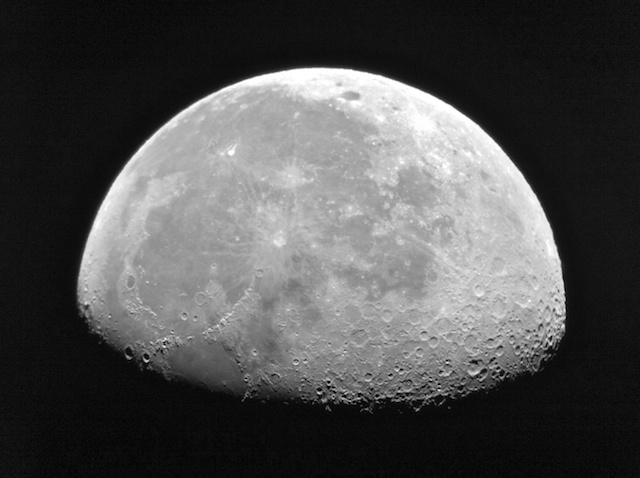 Its disk appeared just slightly gibbous. At 1832 MST, about 4 minutes after sunset, I viewed Saturn in the 8" at 77X. The planet and rings were just barely visible. Beginning at 1855 MST, I began my software tests with the ETX-125. At 1935 MST, I observed the supernova in the M101 galaxy with the ETX and 26mm eyepiece. The supernova was still very bright. I ended ETX tests at 2025 MST. I then began some observations with the 8" at 77X. First was the M101 supernova. Next, just for grins, I viewed the Kepler-16b host star (RA 19h 16m1 8.17s, DEC +51° 45' 26.78") that was recently in the news. I then viewed NGC6826 (the "Blinking" Planetary Nebula). I could not detect the "blinking" affect when switching from direct vieweing to averted viewing. I then tried for Sharpless 2-101 (the Tulip Nebula); I may have just barely been able to see it using an O-III filter on the 26mm eyepiece. But it was hard to be certain as the nebula was very faint. I then viewed M13 (Great Globular Cluster in Hercules), Neptune, and Uranus. Beginning at 2120 MST, I did the software testing with the MacBook Pro connected to the 8" LX200-ACF. Ended the testing at 2200 MST and moved the ETX and computer back inside the house. After a long day and doing some yardwork, I was getting tired and decided to call it a night. But it was great being back in the observatory, with the Milky Way glowing overhead. 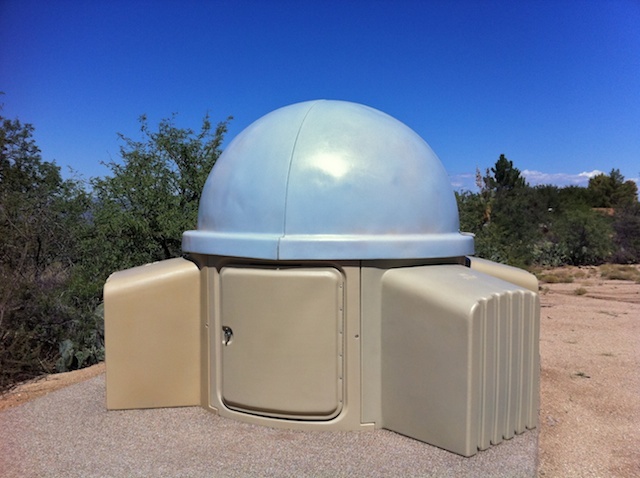 The observatory was closed at 2315 MST, 67°F. 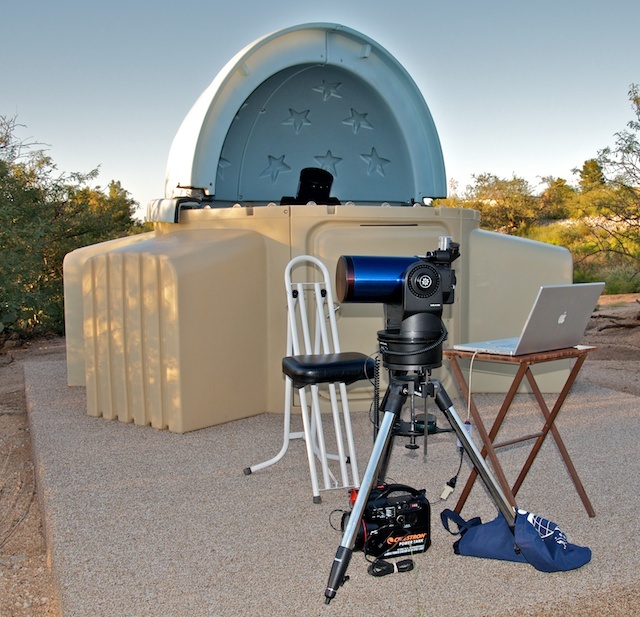 I have posted an updated review of Southern Stars "SkySafari Pro for Mac OS X" discussing the telescope control. Check it out. I will be posting my review of AstroPlanner soon. I have also posted a review of the book "Astronomical Spectroscopy for Amateurs".